1).Following hard on the heels of Bay Hill's preview of next year's Ryder Cup, the pros gather at Pete Dye's design at TPC Sawgrass, in Northern Florida. 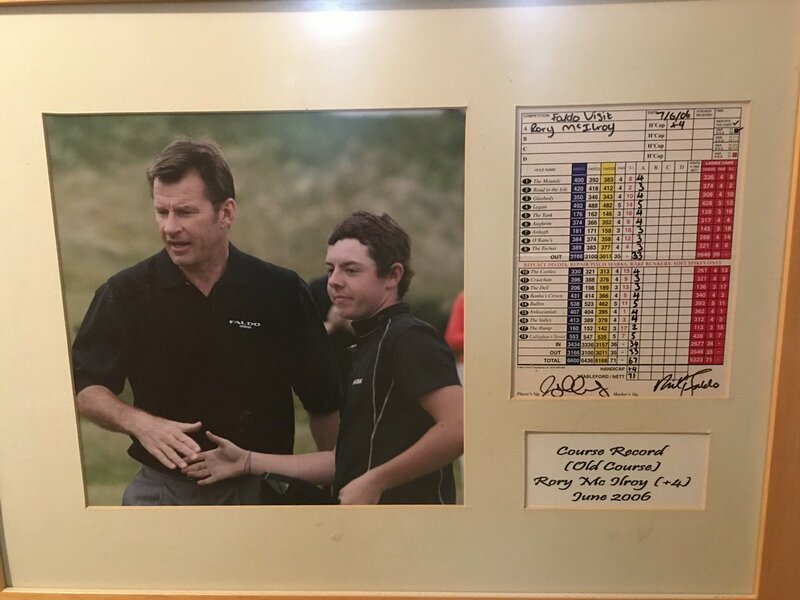 As you recall, the Tour played their flagship event at the end of March until 2006 when concerns about variable weather and course conditioning caused them to shuffle The Players back to mid-May. That seemed fine and there was a succession of worthy winners but powers that be then decided to move again, not back to the end of March, but to the third week in March. Which I'd say is a bit of a head-scratcher, but c'est la vie. 2).They'll all be rewarded with two days of warm temps, two days that are coolish, and enough breeze to make things interesting every day. And that could be interesting with so much water in play throughout the course. No doubt NBC's count of water balls on the (ridiculous?) 17th will be front and centre during their coverage (for which they'll presumably drag Peter Jacobsen out of hibernation). Do we go back 13 years to form of guys that are in their mid-thirties now, or considerably older? Or should we throw out any concerns about change of weather and/or conditions and just look at those who have form at Sawgrass whatever the weather? No idea but if in doubt on a course that requires precision shot-making rather than rewarding pure bombers, it's difficult not to look over one's shoulder at Bay Hill and suggest that European ball-strikers might be better suited. 5).Then a breather while the Tour decompresses in Hilton Head, New Orleans, Charlotte and Dallas before we go to Bethpage for the PGA Championship. And then we have Majors rat-a-tat-tat every four weeks with Memorial, Colonial, Canada thrown in for good measure and followed by a WGC in Memphis, then almost immediately into FedEx Cup play-offs. This seems wildly popular, at least from what pros and pundits say in public, but perhaps strategic player defections will hint at too much, too soon, with historically significant tournaments losing their identity . . . . . . and players. 6).No problem in that respect this week though the absences last week of the likes of Dustin, Justin, Rahm, Sergio, Jordan and Tiger, were also followed by Jason Day getting his obligatory event in and then doing a runner. Koepka and Phil took the weekend off and BDeC, Rickie and Rosey metaphorically followed suit. As mentioned on last week's thread, amazing how that happens when the tournament "honoree" passes away. 7).But let none of this take anything away from some great performances at tricky Bay Hill. Molinari found confidence last spring at Wentworth and hasn't lost it. Fleetwood can't seem to avoid throwing one lousy round in almost every event he plays. As for Rory: A disappointing final round of 72 but possibly better, and in trickier conditions, than his opening 72 - methinks we sometimes expect too much. Great work from three who might have harboured hope of playing on Bjorn's Team: Fitz, Rafa and Wallace. Plus three fine rounds from Henrik after an opening 77 and a promising glimpse of form from Kaymer until his late fade. Phil seemed to have every intention of sitting this one out, but now he's playing. And Day & Tiger both used sick notes last week so are they suddenly fit this week? I'd earmarked Molinari as my one-and-done this week but can lightening strike twice? Doubting that it can, I like Sergio & Stenson, Fitz and Cam Smith, and Kisner & Schauffele. GPB wrote: Pepperell at 190 Faux FEX pts, and Wallace at 188. They need 266 pts for STM, which basically a Solo 9th place in a PGATour. I am guessing that #125 on the FEX list will have about 350 pts this season, due to the shortened season. Fitzy is at 353 faux FEX pts. With nearly guaranteed points at Match Play and WGC-Memphis he should have his 2019-20 playing card secured. as bad as Spieth has played this year (and it has been very bad), he has earned 4x as many OWGR pts as Alex Noren. Spieth, Noren, and Stenson all need to find a semblance of a golf game or else they will all be out of the Top 50 by the US Open. Surprised Pep still has so far to go, I thought a 2-way T3 at Sawgrass would be almost enough points for a FedEx playoff place on its own. Are there guaranteed points like there’s guaranteed money at Austin? Not sure what’s up with Noren but he’s in terrible form, not just not challenging leaderboards but missing cuts by miles. He’s had plenty of injury troubles but don’t recall him ever having a slump in form like this before. I’ll be sorry to see Butch go, have always enjoyed his commentary. That said he hasn’t done many tournaments for a while now, only did the majors last year as I recall. Wonder if he’ll stay on to do Augusta every year that Peter Alliss is still showing up for the BBC. I assume Sky will promote the equally good Beemer to his role, although Claude III has done a bit of work for them too. Not sure what alphabet Rory is using for his signature. Sure does not look like Rory McIlroy. GPB wrote: Not sure what alphabet Rory is using for his signature. Sure does not look like Rory McIlroy. Who cares what Palmer would think? Looks like he got his skivvy, sorry, PA to sign it for him. The wording of the letter is pretty cringable too. That said, as S_R suggests, not sure Palmer is too bothered. Who are Jay and Susan? And as the letter seems to be to both of them why not start with "Dear Jay and Susan"? Commissioner Jay Monahan and (presumably) his wife Susan. I think Arnold makes a good point with respect to signatures. navyblueshorts wrote: The wording of the letter is pretty cringable [sic] too. Well, Rory never finished High School, but he might know that "cringable" is not a word in any dictionary at my disposal. Quite funny from the man hailing from the country renowned for inventing words at the drop of a hat, when plenty of suitable ones already exist. Is that point you make key? Who's the winningest that there's ever been on the PGA Tour? Moving on. My point is the irony of ridiculing his "wording" with a word that is not even a word. Just like Golf, America didn't invent the English Language. We just perfected it. Especially by getting rid of superfluous "U's"
GPB wrote: My point is the irony of ridiculing his "wording" with a word that is not even a word. Point taken, but don't use that sort of piercing logic and complain at any time of petty responses from others online. I mean, why comment on it anyway? You should be happy with it. A bit like your so-called 'perfection' of the English Language, I just made up a word on the spot, because I couldn't be bothered to think. My point re. 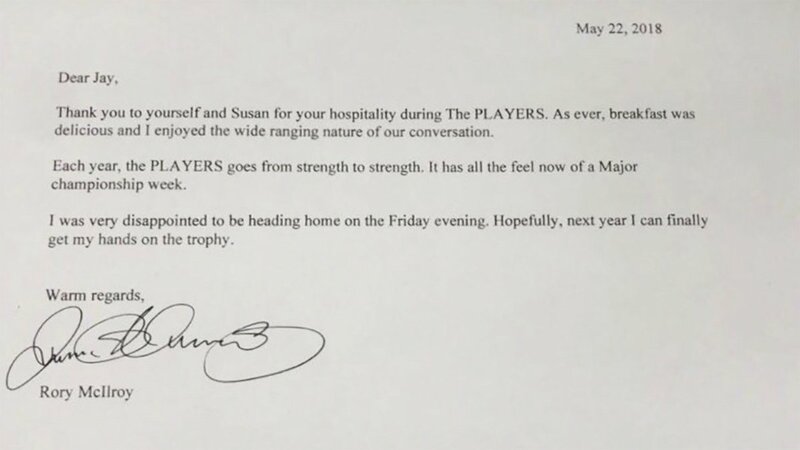 "McIlroy's" wording was that it was so stilted and uptight, I was questioning whether he wrote the letter. Nothing to do with the spelling or grammar. To be fair, he might have worded it, but doesn't seem to dovetail well with his interviews. Whatever. GPB wrote: Just like Golf, America didn't invent the English Language. We just perfected it. Especially by getting rid of superfluous "U's"
A point of view. I suspect the English Language is just a bit complex, although I'll allow you 'aluminum'. As I said, moving on; let's not clutter Kwini's excellent threads with this kind of nonsense. Think Humphry Davy first named alumium, then renamed it aluminium following criticism from European chemists. kwinigolfer wrote: Think Humphry Davy first named alumium, then renamed it aluminium following criticism from European chemists. Could be. I'd heard that Mendeleev initially proposed name that America now uses, which American Chemical Society ran with, but then a few years later, someone said wouldn't 'aluminium' be more consistent, given all the other 'ium' elements. Mendeleev agreed, but the ACS had run with 'aluminum' for a number of years and kept it. Don't think it's one of GPB's 'perfections' though, so he can have that one. You got owned Navy. Just pipe down, it is getting ever more painful for you. Or these days: SA in stead of USA? AP is reporting that Eddie Pepperell told Doug Ferguson that he has no plans to join the PGA Tour - can't help feeling that might change if he gets the chance, but it's certainly an unusual thing to say in these days of PGA Tor dominance. Pedro - The USA isn't as United as it has been in days gone by ... but nor is the UK. I say you guys simply refer to yourselves as "The Kingdom" and us as the "States of America". I was taking about words like labour, neighbour, etc. USA fixed it to labor, and neighbor. Decent field this week a testament to the quality of the Copperhead Course at Innisbrook. Still no annonced defections from the WGC: MatchPlay. Kinda srprised. GPB wrote: I was taking about words like labour, neighbour, etc. Also, in regards to Aluminium, you don't call it Plutinum, Uraninum, or Paladum do you? It makes perfect sense to call Aluminium as it is spelt. Shotrock wrote: Pedro - The USA isn't as United as it has been in days gone by ... but nor is the UK. I say you guys simply refer to yourselves as "The Kingdom" and us as the "States of America". “The Kingdom” would also make a perfect analogy to “The Open”. GPB wrote: Commissioner Jay Monahan and (presumably) his wife Susan. Who gives a toss if the DEAD Arnold Palmer thinks a signature should be legible? What's it got to do with him? A signature only needs to be INDIVIDUAL, it doesn't matter if it's legible, you only have to be able to identify it as belonging to YOU. As for the claim in the document that Palmer's signature numbers into the millions, what a crock of scheisse, but then the article refers to Palmer as an athlete, so we know the article is a load of crap. super, maybe “athlete” referred to dodging the coffin for so long. Nice try. Usual WUM from you I see. I don't pick on your f-ups in language in almost every post you make. Want me to start? navyblueshorts wrote: I don't pick on your f-ups in language in almost every post you make. Want me to start? Alright, go for it. Lets a have a week trial and find out just how badly worded my posts are. Who gives a toss if the DEAD Arnold Palmer thinks a signature should be legible? And to be fair Palmer goes to the trouble of putting an umbrella in his signature. ~Innisbrook Resort's Copperhead course is a tough Par-71 with 4 x Par-5's and 5 x Par-3's. Plenty of elevation changes and some terrific holes. ~Decent field with Dustin Johnson confirming he's including Valspar on his schedule as his "one additional" event. Rafa C-B, Casey, Donald (hopefully free from injury), Hatton, Garcia, Rahm, Knox, Stenson, McDowell, Willett. ~Presidents Cup Capt Ernie Els has completed his roster of Vice Captains further to his appointment of Geoff Ogilvy earlier. Choi, Immelman & Weir added. ~And an interesting snippet from Els that I don't think I'd heard before: He apparently received a Special Invitation to last year's Masters, which he declined. His rationale was that, however much he likes Augusta National, it doesn't seem to care much for him and not much point in prolonging the agony. ~Should be fine weather for Valspar action, pretty much always an exciting climax. Will this be the week for Adam Hadwin? Wouldn’t be surprised if Jason Day took a U-turn. I don't pronounce "Labor" and "Neighbor"the same way as I do "Our" or "Hour". People in the industry it "a-LU-min-um" 4 syllables. And 95% spell it "aluminum"
. I have no idea what "Plutinum" or even "Plutinium" is? Is that a radioactive alloy of Platinum and Plutonium? Never heard of that. Wait a minute "Platinum"? and not Platinium? WTF? ever seen an alternate spelling of "Platinum" as "Platinium". I don't believe you, no one in the UK pronounces Aluminium as Al-oom-in-um. No one, unless they are a Septic. I mentioned "plutinum" as the way you would pronounce PLUTONIUM if you kept to your silly way of pronouncing and spelling Aluminium. If you refer to Aluminium as Aluminum, why not spell and pronounce Plutonium so same way by dropping the I? No one drops the I in Helium, Lithium, Beryllium, Sodium, Magnesium, Chromium, Germanium etc, so why bother with Aluminium? It's simply more American stupidity. Any chance of the mods peeling this off as a separate topic, for those of us who want to talk about this week’s golf rather than get unnecessarily angry about language semantics? And I'll be off the grid next week, prior to MatchPlay anyway. Thought Els just turned down the opportunity to play in the Par 3 contest not the actual tournament itself. I stand to be corrected. I had contacts at Anglesey in Wales. None of them pronounced it with 5 syllables. And have you never heard of PLATINUM? GPB, regardless of your homies in Wales, the rest of the world calls it (and pronounces it) Aluminium. Not only the English speaking world but also the non-English speaking world. Who’s pretentious? Yes I have, but seeing as you're so obsessed with just having ONE way of pronouncing words with OU in them, why don't you carry that forward and pronounce the U in what you call Aluminum? Where does the OO sound come from under your silly way of saying it? The vast majority of elements which end in UM also have an I preceding it (there's only three which end in um, that don't end in IUM, and as there's a prescedent for it being Aluminium it makes sense to call it Aluminium. I still don't believe your leek munching chums call it Aluminum, but if they do, it's to placate Yanks on the phone the same way they might refer to a car bonnet as a hood, or a tap as a faucet or a nappy as a diaper, or a spring onion a scallion or an aubergine an eggplant. No UK person calls it Aluminum. Enough here about periodic table elements, their pronunciation and variations of the English language .